Shirley Paris Jewellery offers the intricate service of jewellery remodelling. This means that we can take pieces of jewellery you own and repurpose the parts to create something new. Oftentimes, jewellery holds great sentimental value to us, yet it may not be to our style or taste. So, instead of letting this item gather dust in a drawer, why not have it remodelled by our talented jewellery experts? Our jewellery remodelling experts have over 30 years of experience combined. We can melt down gold pieces and remodel them into something completely new. If there are diamonds or precious stones you would like refashioned into a more modern piece, we can easily create this for you. Our expert designers thrive when challenged and love to use their creativity and skill to provide stunning pieces for every customer. Even if you aren’t sure what could be done with your old jewellery, please get in touch. You may be surprised by how much we can do. Naturally, our customers are eager to know the cost of remodelling jewellery. The answer is different for everyone. 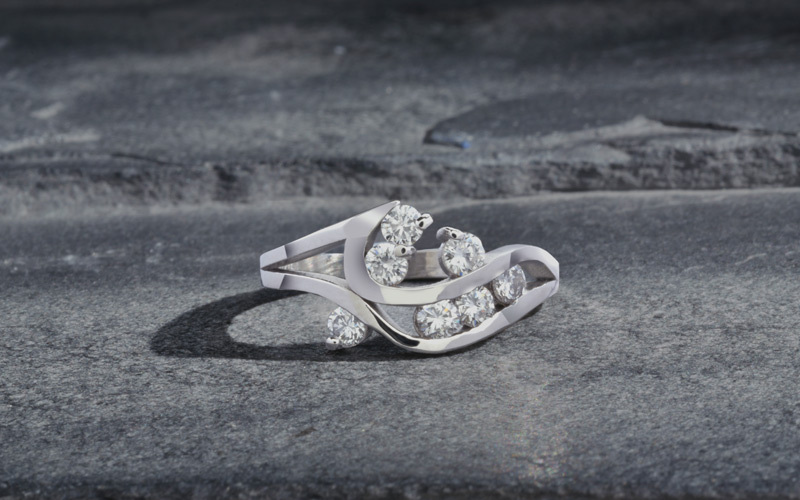 Some of our remodel customers have large pieces of jewellery that are simply melted down and reworked, while others require new metals or stones to be incorporated. Depending on the materials required and the time that is taken to create the new piece, the price will vary. We ask that you get in touch with us either by completing our contact form, phoning, or visiting the store to discuss your remodel project. If you would prefer to visit us in store, we are located in the town of Larkhall in South Lanarkshire. This is approximately 14 miles southeast of Glasgow and easily accessible by car or public transport. Jewellery remodelling in Glasgow is very popular, and we pride ourselves in offering a service of the highest quality. Please browse our Gallery to view all of the remodelled pieces and bespoke jewellery we have created. Looking to update your engagement ring? Or do you have gold wedding rings that are no longer in use? We can re-design your unused jewellery into a stunning new piece you will get joy from wearing. Many of our clients are stunned with the result of remodelled jewellery. Remodelling rings is one of our most popular services. We have remodelled rings into bracelets, pendants and even into new rings. Our gallery has a selection of pieces we have previously made.